A survivor of a family massacre begins to reinvestigate the case. Paquet-Brenner's script boils the story down to a series of bland, expository conversations, and despite her best efforts, Theron fails to make anything of a character that should have been a lot more compelling than the one that made it onto the screen here. Not so much dark as dull. 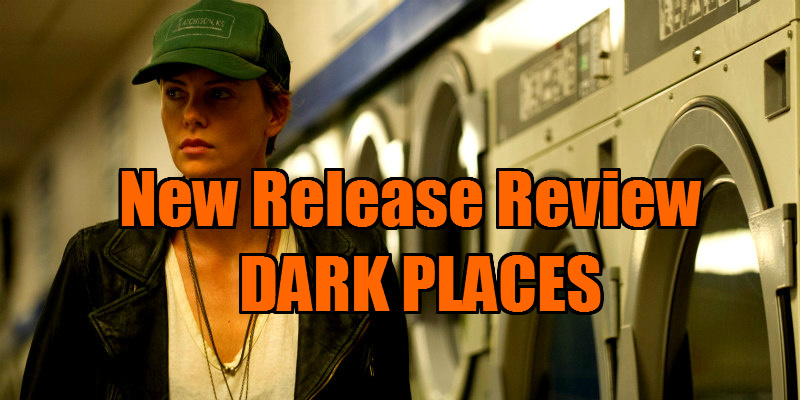 Dark Places has had a troubled distribution history. Adapted from a novel by Gillian Flynn, the author of Gone Girl, it failed to capitalise on the success of David Fincher's adaptation, receiving a limited cinema release Stateside in the middle of last year. While it seemed destined for VOD on the other side of the Atlantic, it's now been rushed into theatres for a limited UK release, most likely because it reteams Charlize Theron and Nicholas Hoult, the stars of the Oscar nominated Mad Max: Fury Road. While I enjoyed Gone Girl, I had the niggling feeling that had it been adapted by a journeyman director, it would have played out like a glossy, more expensive take on a TV movie of the week. 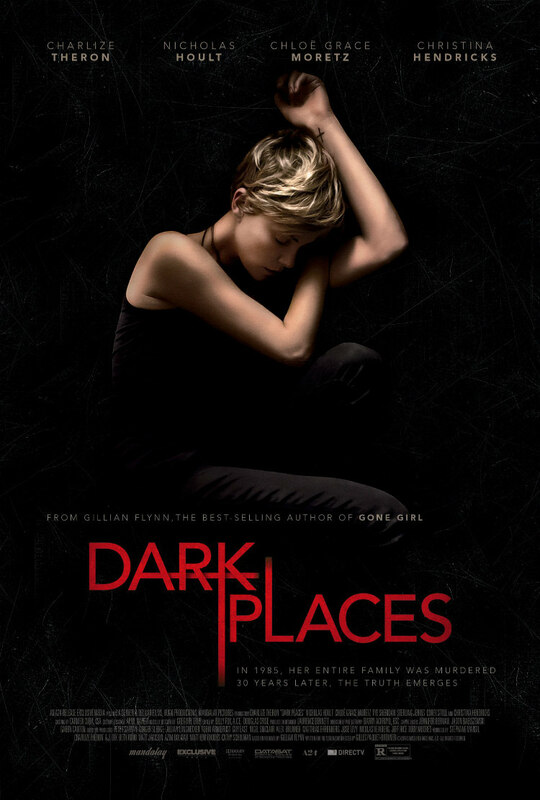 Maybe Fincher could have made something of Dark Places, as there's certainly enough interesting material here, but in the hands of writer-director Gilles Paquet-Brenner, it's destined for repeat showings in the red eye time slots of cable movie networks. Theron plays Libby Day, the survivor of a 1985 massacre that resulted in the death of her mother (Christina Hendricks) and two sisters. Her brother, Ben (played as a teen and adult by Tye Sheridan and Corey Stoll respectively) was convicted of the killings, mostly due to his known interest in the occult. Libby has spent her entire life living off the proceeds of a true crime book on the killings, along with the charity of sympathetic benefactors, but with her money drying up, things are looking bleak. 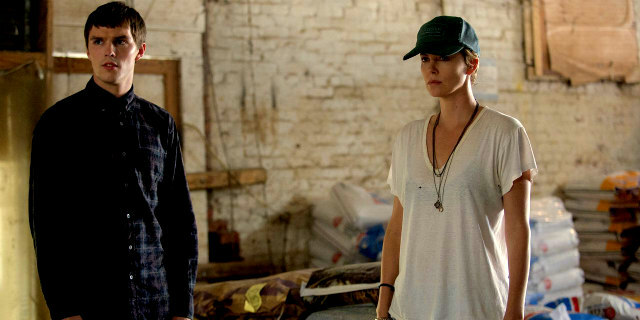 Then along comes Lyle Wirth (Nicholas Hoult), the head of a group of amateur sleuths known as The Kill Club, who offers Libby cash in exchange for her help in reinvestigating the case in the belief that Ben is innocent. As soon as Theron's voiceover narration kicks in, we know we're on rocky ground here. Whether the film is aiming for a noirish patina or simply using a cheap method of getting story points across is unclear, but it adds nothing beyond a distraction, and there are moments when Theron is embarrassingly asked to stand still with a thoughtful expression while the narration plays out. Paquet-Brenner's script boils the story down to a series of bland, expository conversations, and despite her best efforts, Theron fails to make anything of a character that should have been a lot more compelling than the one that made it onto the screen here. Not so much dark as dull.